يقع في Cable Beach, Seashells Broome إنه المكان الأنسب لاكتشاف برومى و ما يحيطها. يمكن من هنا للضيوف الاستمتاع بسهولة الوصول إلى كل ما تقدمه هذه المدينة النابضة بالحياة. يشكل هذا الفندق ملاذاَ مريحاً للاسترخاء ويمنح زواره فرصة للاستجمام والتجدد، وهو يقع على بعد خطوات من المعالم السياحية الكثيرة للمدينة كمثل: Willie Creek Pearls Cable Beach Showroom, ‪Buddha Sanctuary‬, مطار برومى. كما يقدم Seashells Broome الكثير من الخدمات لإغناء رحلتك في برومى. يمكن الاستمتاع بمجموعة من الخدمات على أعلى المستويات في الفندق كمثل واي فاي مجاني في جميع الغرف, متجر هدايا/تذكارات, مرافق مخصصة لذوي الاحتياجات الخاصة, تخزين الأمتعة, واي فاي في المناطق العامة. في الفندق غرف نوم يتجاوز عددها 49، كلها مجهزة بعناية وجمال وبعضها مزود بـ تلفزيون بشاشة مسطحة, اتصال لاسلكي بشبكة الإنترنت (مجاني), حوض الاسترخاء, غرف لغير المدخنين, مكيف هواء. يقدم الفندق العديد من الفرص للاستجمام كمثل حمام سباحة خارجي, سبا, ملعب للأطفال, مسبح (للأطفال), حديقة. يحظى فندق Seashells Broome بموقع ممتاز وخدمات يصعب منافستها. Amazing unit with everything you need. The bbq area and pool is excellent as well. Really clean rooms. Great location. Great apartment all mice and clean and the pool was fantastic. Kids had a great time. Thanks so much. 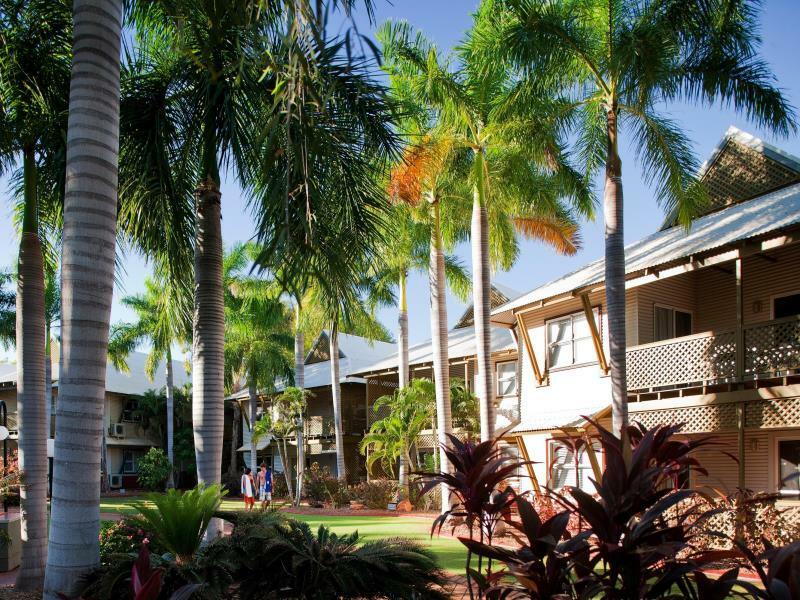 Very neat and well maintained resort, apartment was clean and spacious and had everything required for a pleasant stay, some extra towels would be handy. A little gift/arrival basket is always a nice thought. No complaints though and would definitely stay again. 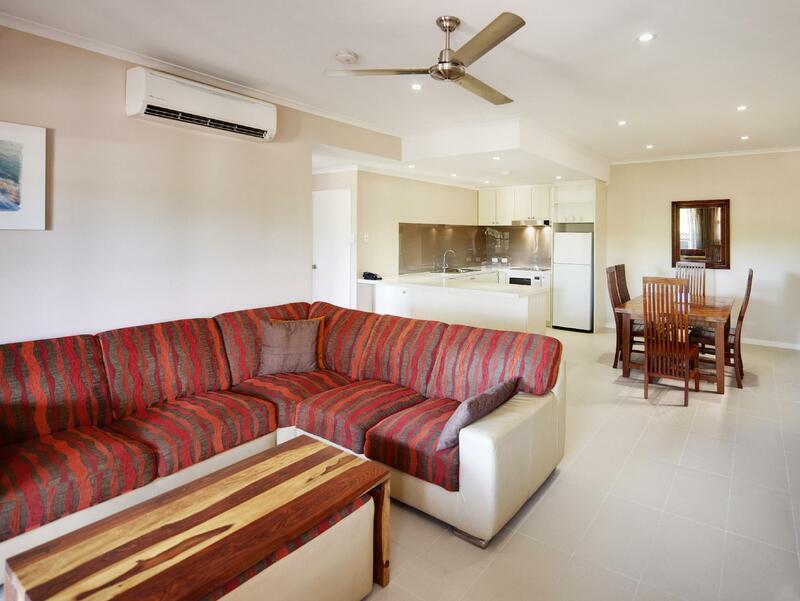 Great location, lovely swimming pool area, walk to bus stop, great restaurant/café and the gorgeous Cable Beach. Staff also very helpful and friendly. Very comfortable beds with quality linen. Immaculately clean. Very well appointed. Great central location. Friendly staff. Great accommodation and location. Lovely pool and staff super friendly. Only glitch was that we had to pay for pool towels, i mean really! I have never had to do that. Not good! Booked a 1 bedroom apartment. 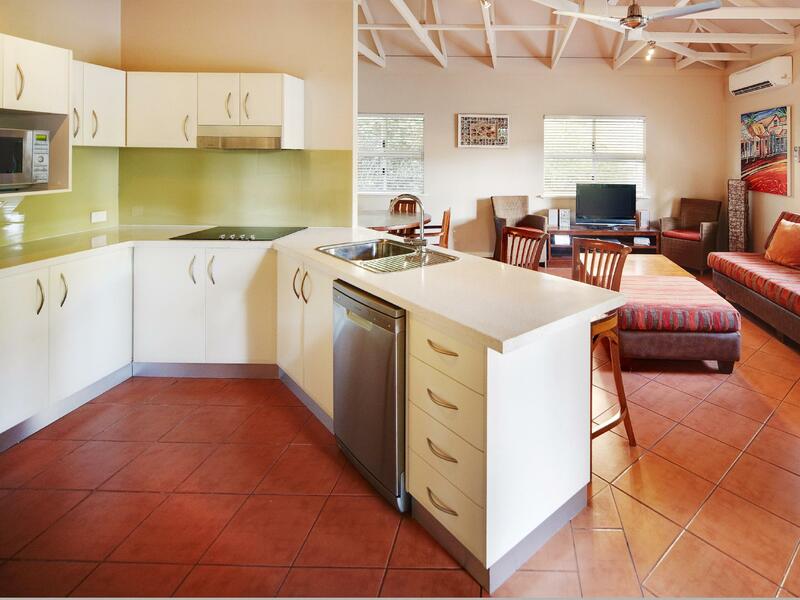 Large & clean apartment with comfortable bed and good facilities. Only negatives were 1. shower in bath next to window without shower curtain/screen; 2. wi-fi service only adequate- 500MB per 24 hrs but based on log in time rather actual date. Also unable to log in with several devices. Wonderful manicured gardens, and delightful pool setting. 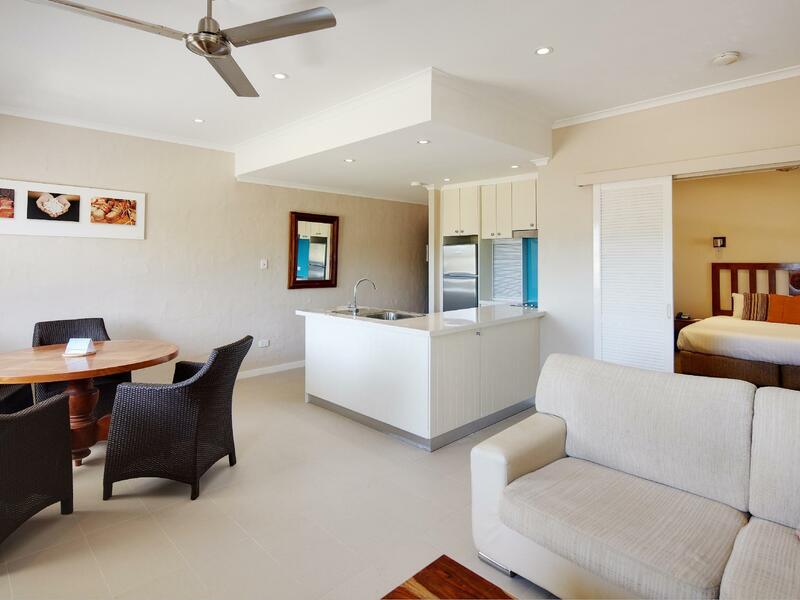 Very conveniently located within 5 mins walk to Cable beach. Town bus stop outside and 2 restaurants (one serving breakfast & lunch) next door. Pub and general store within 10 min walk. Recommended. Stayed here 3 NYE in a row. Love the place. Recomend Zookeepers Cafe for a meal. Fabulous. Clean spacious apartment. Scenery was beautiful and pool was fabulous. Would have liked somewhere on site to eat, but nearest food venues were only 2 mins walk. Great place for couples. Close to the beach and great value for money. Will definitely stay here again! nice location, but bed was too big for the room. blocked access to the plugs on either side of the bed and had to move bed to close door. The best thing was the location, easy walk to the beach to to see the sunsets, bus stop very close and lots of places to dine a short walk away. Spacious apartment was good too. In house movies. 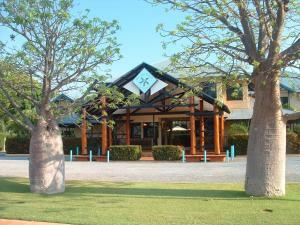 Location was excellent, near Cable Beach, wouldn't want to stay in town myself. You can get the bus into town for groceries, shopping, dining and sight seeing. Note, last bus was about 6:45pm, the bus stop is close by. The Wi-Fi was useless, I think it worked 2 of the 7 days we were there, we had to call the support line (got charged for the 1800 phone number we rang) and they had to call front office, as did we and it only worked last couple of days. There are BBQ's, tables and garden space to use, a small playground and a pool with shade sails to protect you from the sun. The apartment was spacious, there was a bit of noise from neighbours coming and going from their apartment. Overall, we were happy with our choice of accommodation.